Maximum length 17 mm. 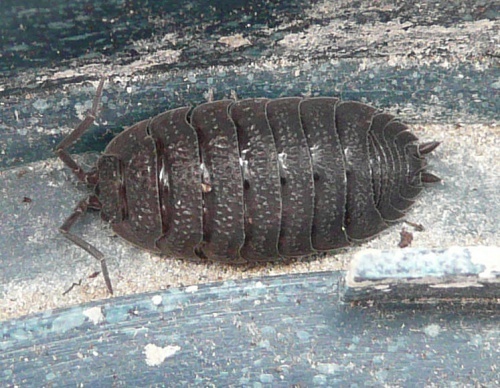 Usually grey, but can be mottled, and is covered in tiny tubercles giving it a rough and non-shiny appearance. Occurs in various colour forms with a variety of mottling in yellow, red or orange. 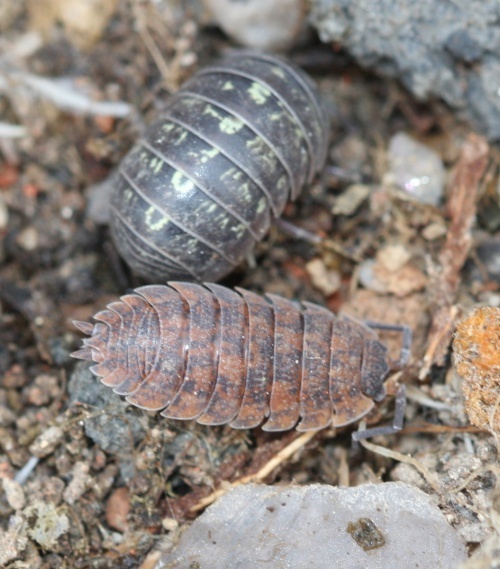 The colour pattern is genetically determined. 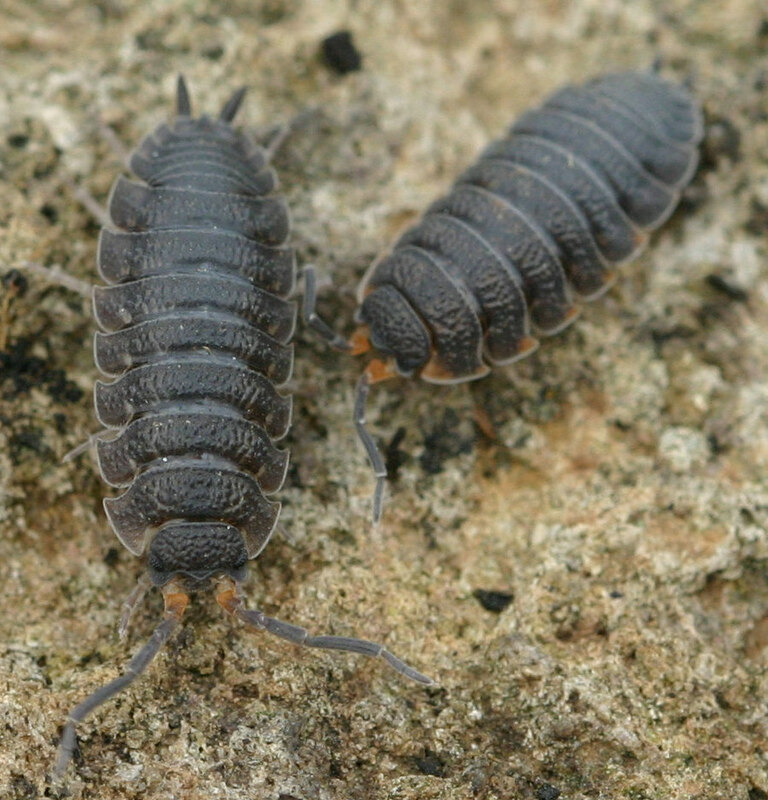 Antennal flagella have two segments, base of antennae is frequently orange. 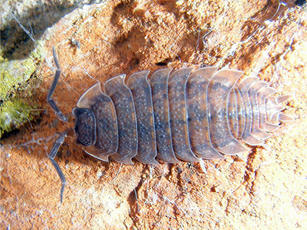 It lives under stones and logs as well as in wall and bark crevices. It can live in drier places than some other species. It is very frequently found in gardens. 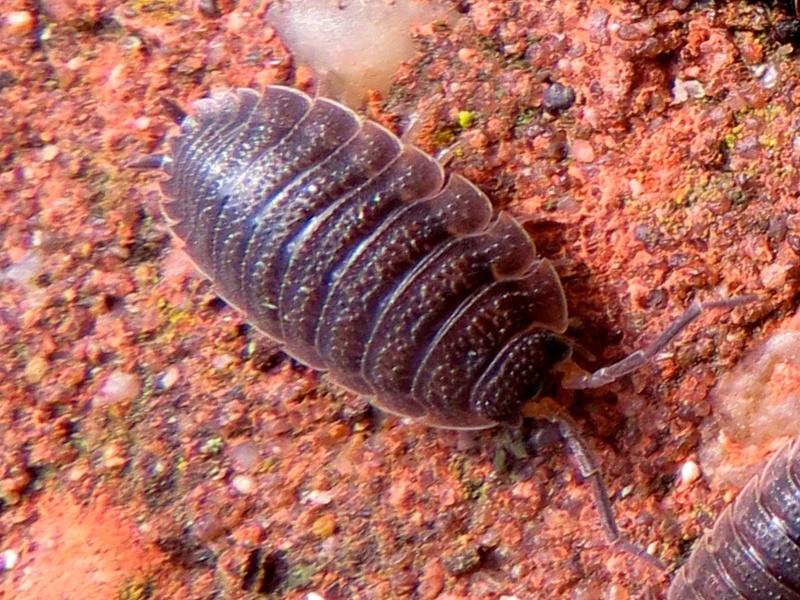 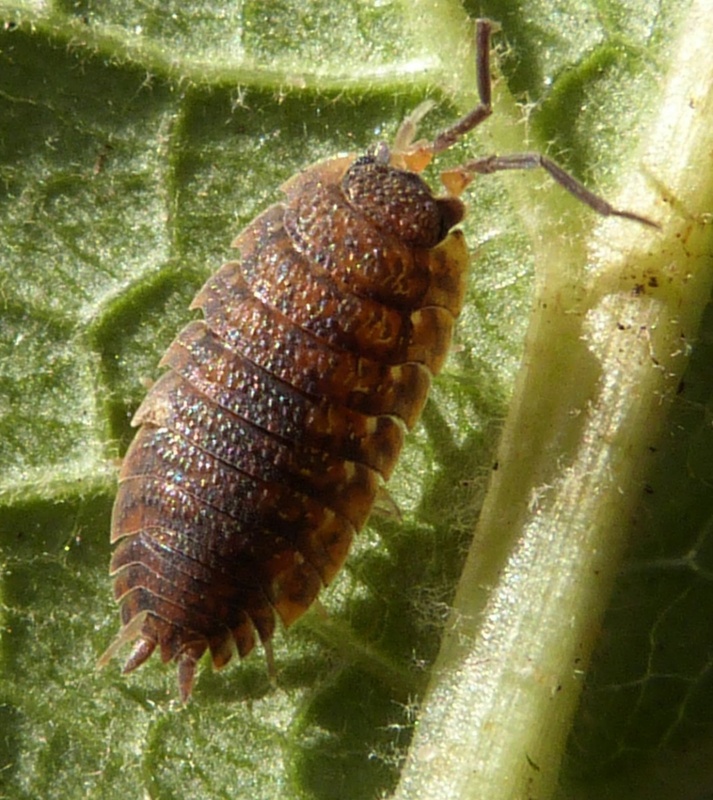 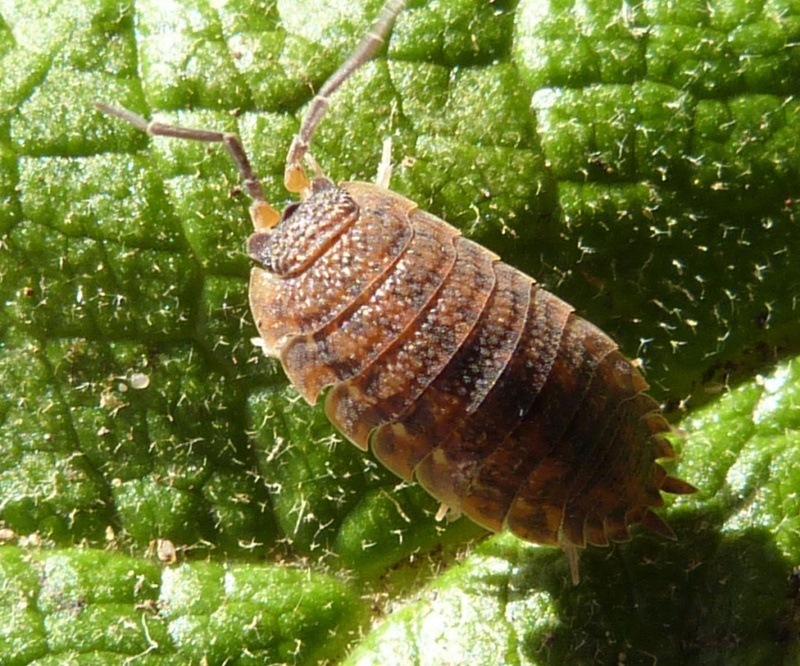 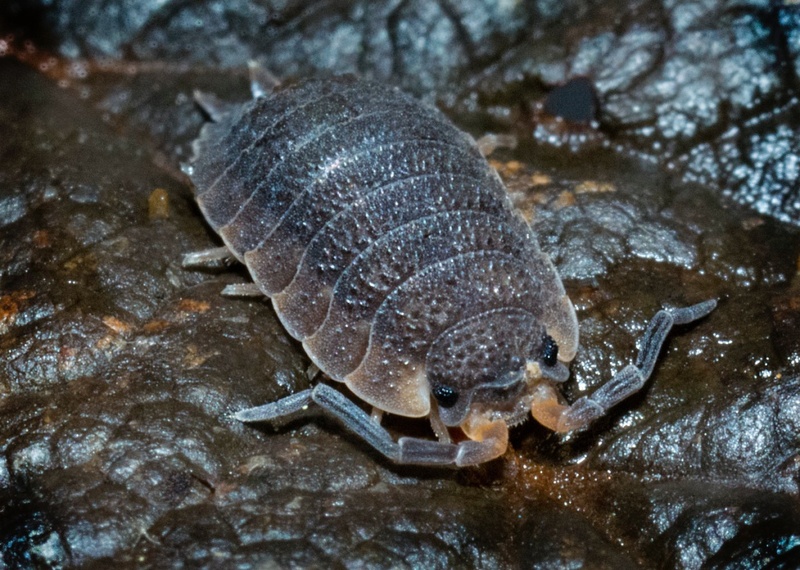 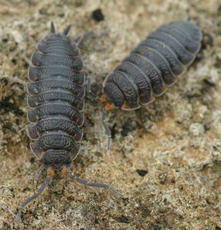 This species is probably the most common woodlouse and is widespread in Britain.